So I decided to do some comparison swatches with the new Brazil shades by OPI to some older OPI polishes which I have in my collection that I thought looked similar. 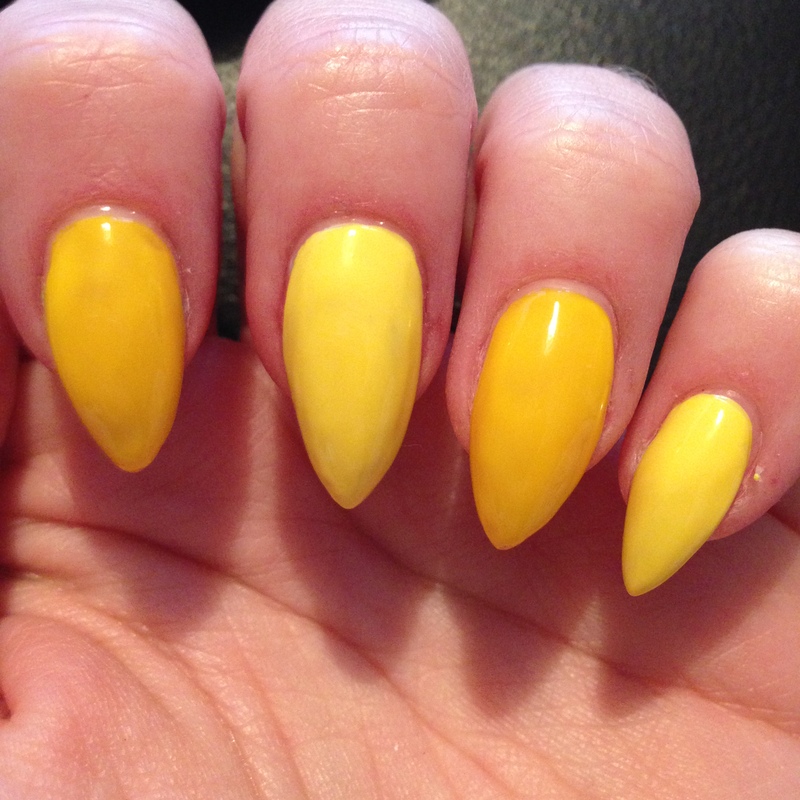 So lets start off with the newest Yellow polish ‘I Just Can’t Cope-acabana’ compared to ‘Need Sunglasses?’ from the Brights collection. 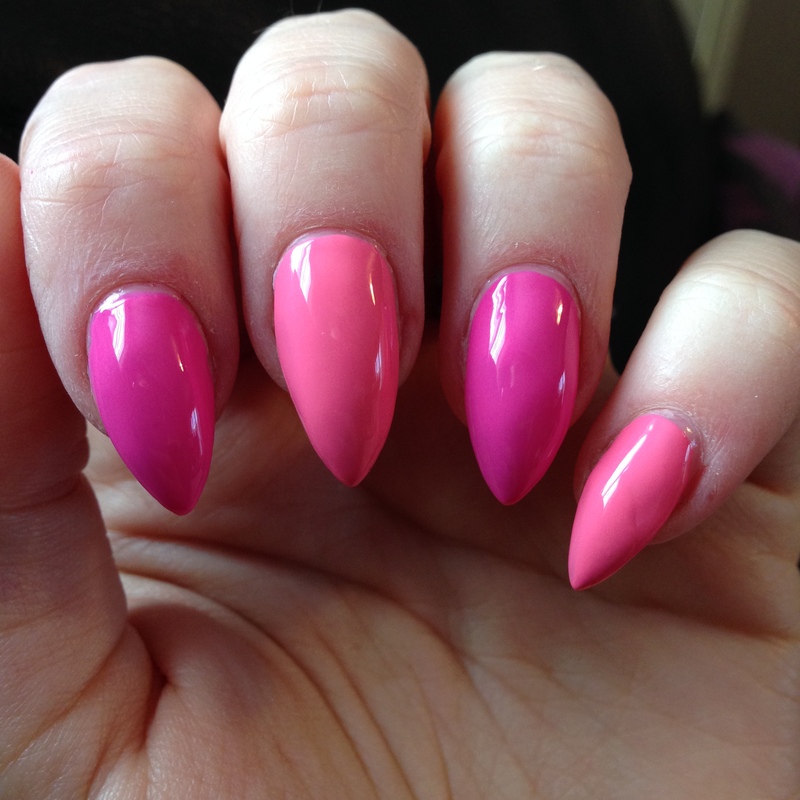 On my pinkie and middle fingers are the new Brazil shade and on my ring and index fingers are the older polish. 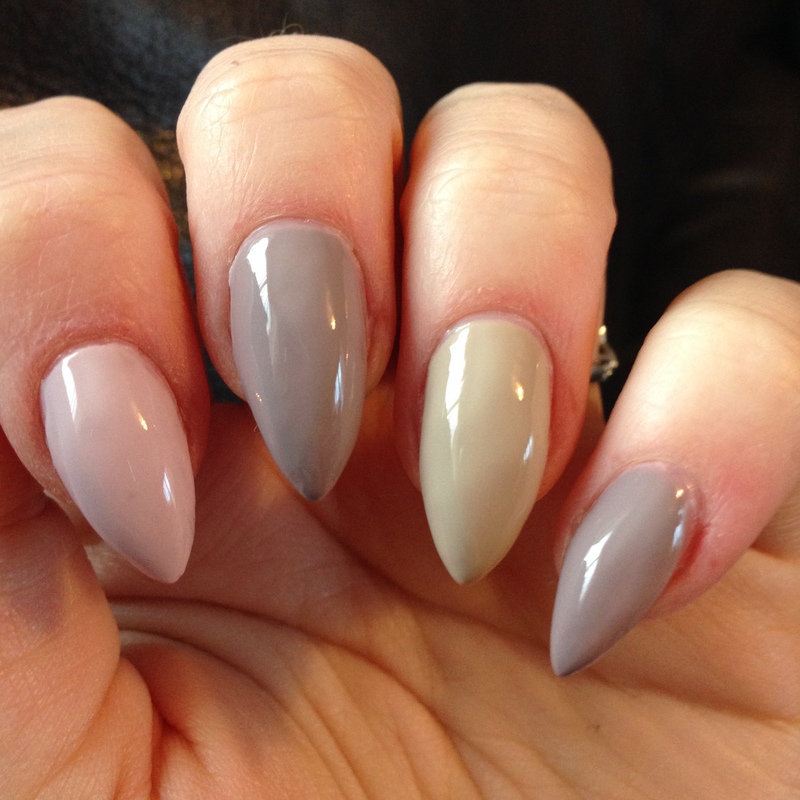 As you can see the new shade is lighter to the older colour and looks more pastel like. Also ‘Need Sunglasses?’ is actually a jelly polish so needs 3-4 coats whereas the new Brazil shade is a creme and only needs 2 coats. 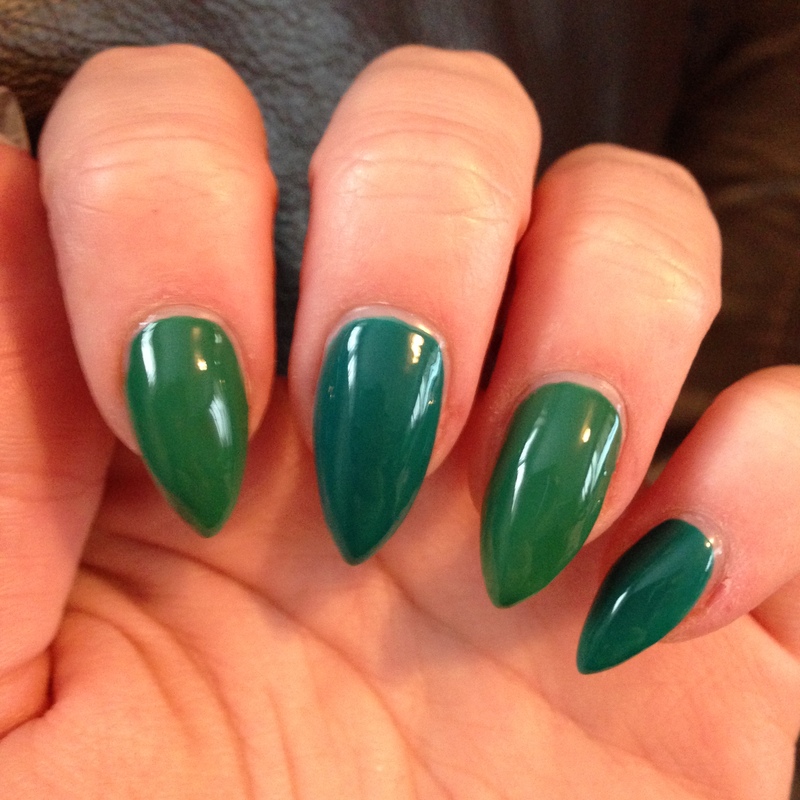 Next is ‘Amaz-on Amaz-off’ compared to ‘Jade Is The New Black’ from the Hong Kong collection. 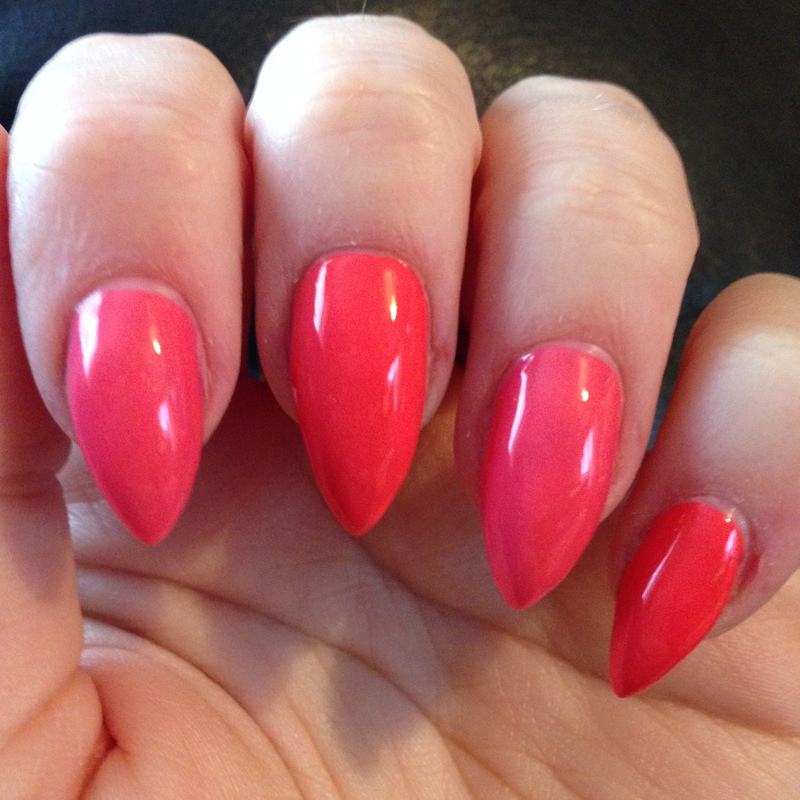 On my pinkie and middle fingers are the new Brazil shade compared to the older polish on my ring and index fingers. As you can see the new polish is darker and more blue to the older shade. 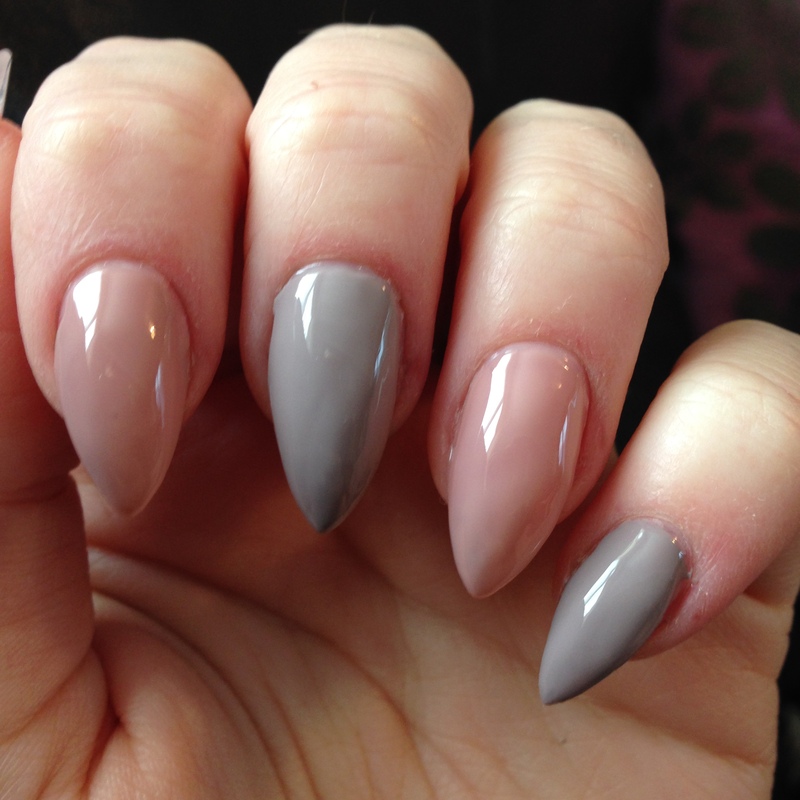 Both are creme polishes and opaque in 2 coats. Next up is ‘Where Did Suzi’s Man-Go?’ and ‘In My Back Pocket’ from the Brights collection. So the newest shade is on my pinkie and middle finger which as you can see is just lighter than the older polish on my ring and index fingers. Both are creme polishes too. So the next comparison is actually between three polishes to mainly show off the new Brazil shade ‘OPI Scores A Goal!’ more, compared to ‘Casino Royale’ and ‘Skyfall’ both from the Bond collection. So on my pinkie and middle fingers are the new shade and on my ring finger is ‘Casino Royale’ which is much more purple than the Brazil colour, and on my index finger is ‘Skyfall’ which is much redder. But hopefully this will show you the difference between all three incase you weren’t going to buy the new shade because you had either or both of the James Bond shades. All three are creme polishes. Next is ‘Live.Love.Carnival’ compared to ‘Suzi’s Hungary Again!’ from the Euro Centrale collection. Now if, like me, you thought these two would be identical you were wrong! As you can see from the Brazil shade on my pinkie and middle fingers compared to the older polish on my ring and index fingers ‘Suzi’s Hungary Again!’ is much pinker and less bright than the new shade, and after doing this comparison I felt really good about buying this new shade as I don’t have anything the same. Both polishes are creme. 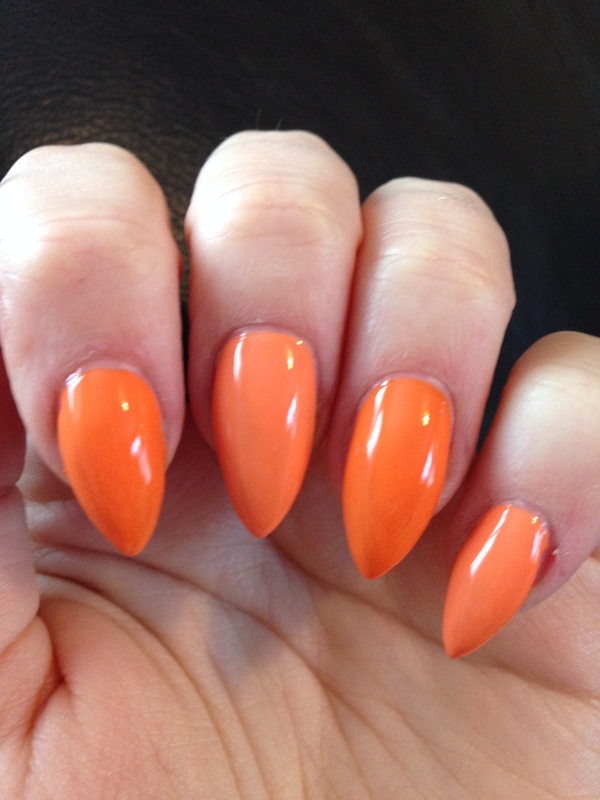 Next is ‘Kiss Me I’m Brazilian’ compared to ‘Shorts Story’ from the Brights collection. Again this was another shade I thought would be the same but I turned out to be wrong, On my pinkie and middle fingers are the new shade and on my ring and index fingers are the older polish. As you can see ‘Shorts Story’ is a lot darker and pinker than the newer shade so don’t be afraid to buy this new polish is you already have the older shade. Both of these polishes are creme. Next up is ‘I Sao Paulo Over There’ compared to ‘I Don’t Know Jacques!’ from the France collection. On my pinkie and middle fingers are the new shade and on my ring and index fingers are the older one. As you can see the new shade is a lot lighter than the older shade but both are in the same colour. Both are opaque in 2 coats. Next is ‘Taupe-less Beach’ compared to two other polishes ‘Did You Ear About Van Gogh?’ from the Holland collection and ‘Steady As She Rose’ from the Pirates of the Caribbean collection. So on my pinkie and middle fingers are the new Brazil shade and on my ring is ‘Did You Ear About Van Gogh?’ which although looked similar in the bottles are nothing alike on the nail as its much more of a stone colour to the new shade. And on my index finger is ‘Steady As She Rose’ which is a lot lighter than the new Brazil shade so again looked nothing alike. All three are creme polishes but the Pirates shades does need three coats. Next again is ‘Taupe-less Beach’ compared to ‘Tickle My France-y’ from the Classics collection. 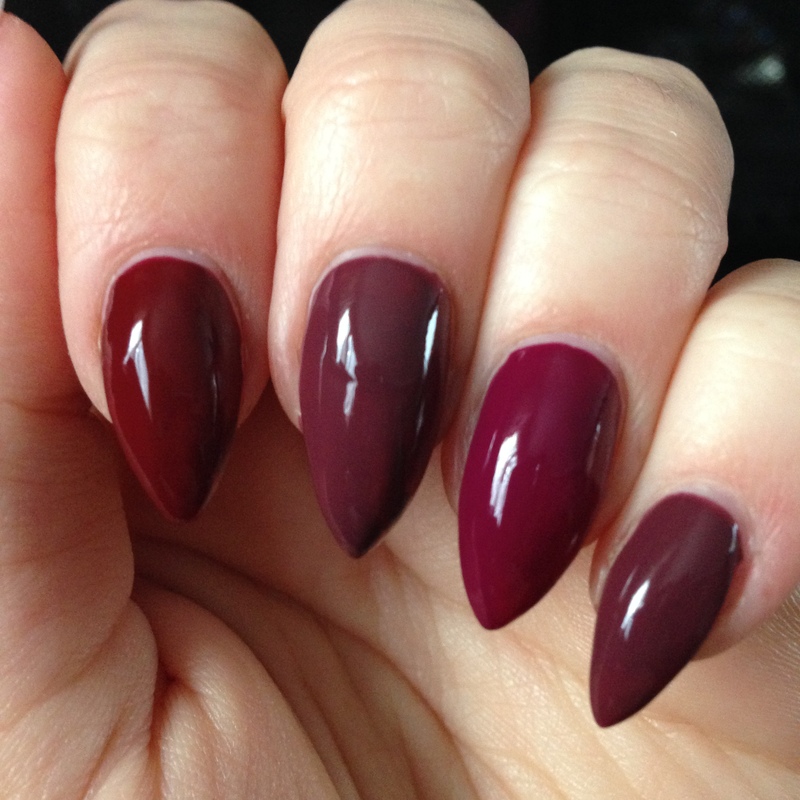 Now again these looked super similar in the bottles but completely different on the nail. Like before the new shae is on my pinkie and middle fingers and the older shade is on my ring and index finger and is much more of a pink neutral polish to the new Brazil colour. 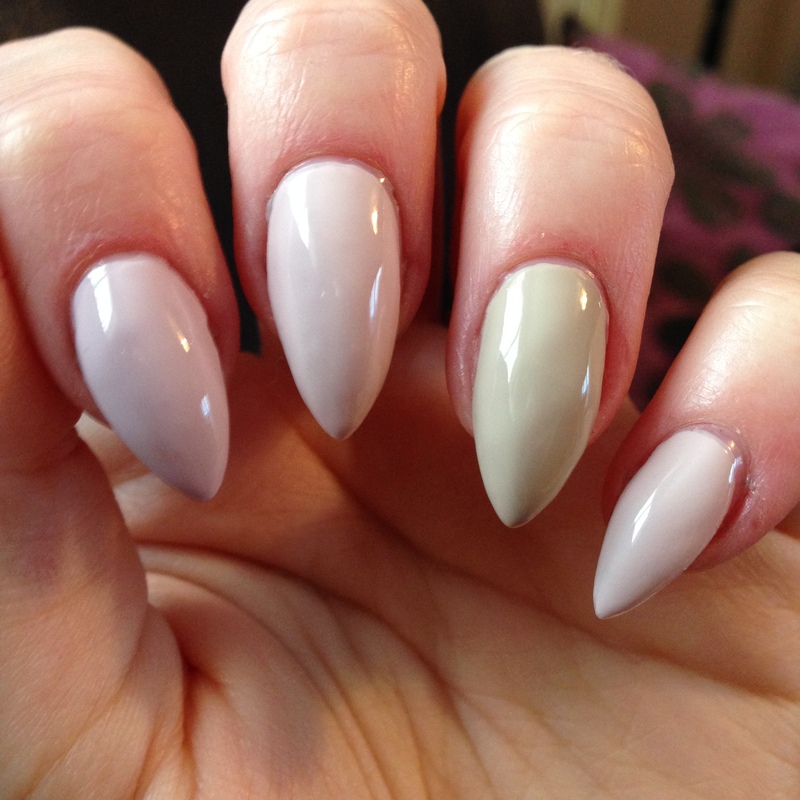 Both are creme polishes but the Classics shade need 3 coats to be opaque. Next is ‘Don’t Bossa Nova Me Around’ compared to two other polishes ‘Did You Ear About Van Gogh?’ and ‘Steady As She Rose’. Again these polishes look super similar in the bottles but only one is really the same. On my pinkie and middle fingers are the new Brazil shade and on my ring finger is ‘Did You Ear About Van Gogh?’ which is nothing alike and a lot more stone coloured. On my index finger is ‘Steady As She Rose’ and is about the only polish I have that is the same as any of the new Brazil shades. You really cannot tell the difference other than the Pirates shade is a tad more pink but not so much you would notice straight away. 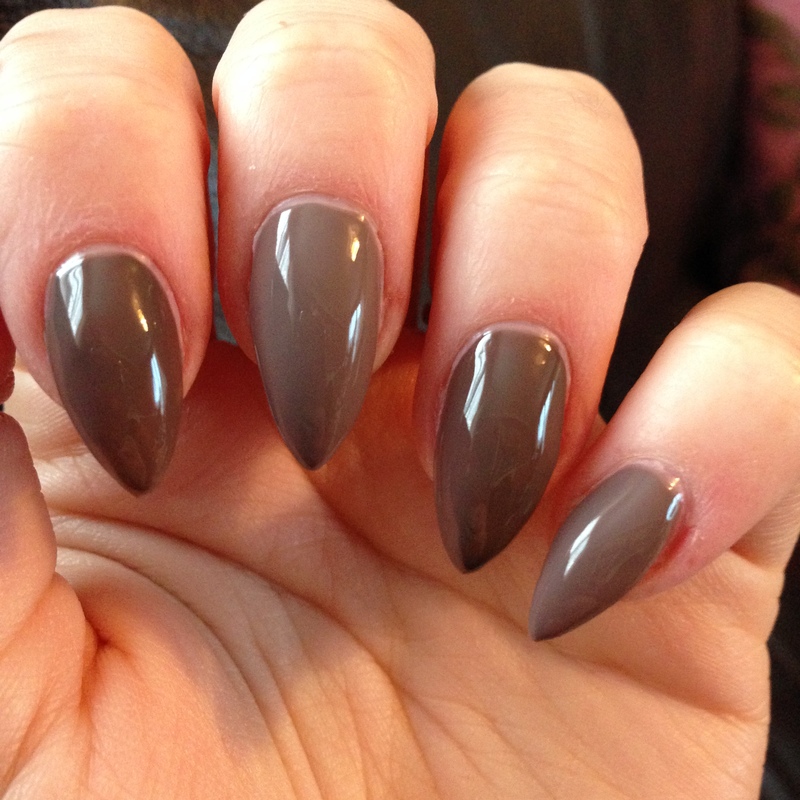 Also the Pirates shade needs 3 coats whereas the new Brazil shade doesn’t, it is opaque in 2. So the final comparison is ‘Toucan Do It If You Can’ and two shades ‘Live.Love.Carnival’ also from the new Brazil collection and ‘My Paprika Is Hotter Than Yours’ from the Euro Centrale collection. 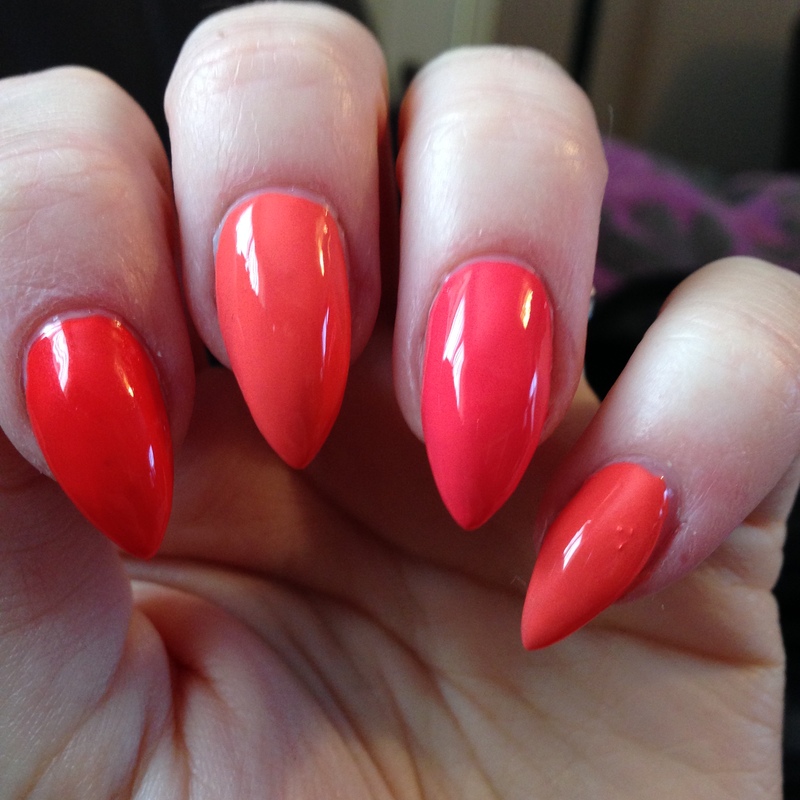 On my pinkie and middle fingers are ‘Toucan Do It If You Try’ and on my ring finger is ‘Live.Love.Carnival’ to show the difference between the two new shades which is that ‘Toucan’ is more of an orange coral collection. And on my index finger is ‘My Paprika Is Hotter Than Yours’ and is much brighter and orange than both of the new shades. All of them are creme polishes and are opaque in 2 coats! I hope you liked my first comparison swatches and it has helped you decide which polishes you want or like more. Awesome detailed comparisons!! Thank you for taking the time to educate my on the colors.